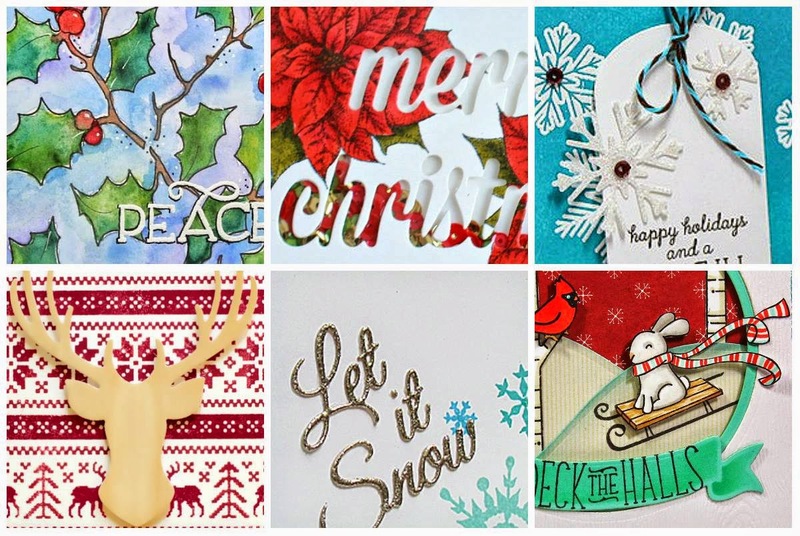 In My Creative Opinion: A Very Trendy Holiday 2.0 and a Giveaway! 18 videos!? Are you going to be doing a video? Looks like a fun class! I'd love to win a spot in this class. Thanks for the chance to win. I would love to win a spot in the class Tracey! I was just looking on Pinterest tonight for card ideas. The peeks of this class look awesome! Thanks for a chance to win a spot! I look at some of my favorite blogs for inspiration! Sounds like a great class Tracey. How fun to have a chance to win. I would love a spot too! What a great class! I have a hard time with holiday cards. mostly because i wait too long to get them done (like they should be done next week!) and i always want to incorporate photos but within a reasonable price and it all becomes so overwhelming that I end up sending a lame email with a crazy picture of snot-nosed kids... *sigh* i need help! Okay... how did I miss this post? =/ Of course I'd love to win!! Perfect timing on the give-away as I'm gearing up for holiday card-making! Thanks & good luck to all. Looks like a great class! I have been surfing Pinterest for ideas using stamps sets I have in my stash. I get ideas from everywhere! I love Christmas. Some stamps and dies I know what I'll do with them right away and others I have to 'think' for a few days to come up with something. My best ideas come to me in the 'think tank' aka the shower! hehe THX for the chance to win Tracey! Mostly from shopping and going on long drives. I go down different aisles in the stores and even look at towels, rugs and kleenex and napkins. I don't get a lot of magazines; but, sometimes I see something in a catalog. And, definitely the internet. Endless idea's there! Lots and lots of blog hopping and looking at stamps...then there is pinterest...after all the research its surprising I have time to actually make some cards! LoL. Would love to win a seat and check this out. I spend lots of time on Pinterest ! I definitely get inspiration from people like yourself for my Xmas cards and also the papers and dies that are released. Thanks so much for a chance to win a spot in the class, it looks amazing and with so many wonderful designers. This looks like a great class. I know there will be tons of wonderful ideas. Wow, Tracey, this sounds like an inspiration-laden course and the fact that YOU are one of the instructors adds immensely to the appeal! I know that people will come away dazzled, delighted and super stoked! How wonderful that you're offering a registration; whoever wins will be in their glory! My inspiration = you, and other bloggers, as well as challenges. Coming up with something on my own? Hahahahahahha...I need all the help I can get! Sounds like a wonderful class Tracey, thank you so much for the chance to win this. Sometimes the inspiration comes from the paper or a stamp/digi, other times it comes through blogs or Pinterest. Heck, even a song or a scripture will spark an idea. Truth be told - it is usually a blog I follow that really motivates me, though. Read the fine print and trying again :)) My inspiration comes from my favorite bloggers or Pinspiration. Would love to check out this class - thanks for the chance, Tracey! I'm inspired by Pinterest, other bloggers. Thanks for the chance to win. I love looking on Pinterest and my fav blogs for holiday card inspiration!!!! Sounds like an awesome class! I watch other stampers on YouTube and scan different blogs. Tons of great ideas out there. I usually find my inspiration on challenge blogs and Pinterest. Thanks so much for a chance to win, Tracey! I get my inspiration from blogs like yours and Pinterest. Thanks for the chance to win a spot in this awesome looking class!! I am inspired by challenges, and often just the tiniest of details on a card that others might not even notice. What a wonderful giveaway! Looks like a fabulous class! Sometimes I just Google a subject to see what comes up. I think your triangle tree card is so cute. 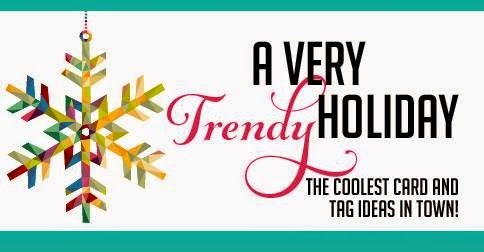 Thanks for the chance to win a spot in the Trendy Holiday class. The sneaks look very interesting. Ha ha. You know where I get my inspiration--I just CASE you! My inspiration comes from blogs like yours on the internet plus samples from my Stampin' Up demonstrator.